The Tawingo Alumni Circle Campership Fund has been set up by our Alumni Committee to accept donations and allow campers to attend Camp. Camperships are provided to children who would gain from a summer camp experience but whose families do not have the resources available to provide it themselves. The Tawingo Alumni Circle commits to following and supporting a child through his or her entire career at Camp, thereby ensuring the best possible benefit for the child as he or she grows and develops. Donations are always needed and always welcome. 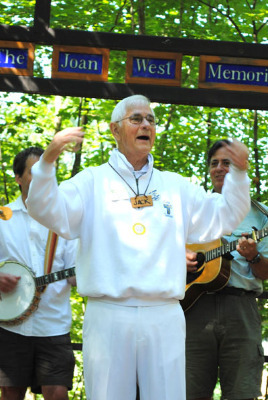 In 2014, the Tawingo Alumni Circle Campership Fund was re-named in memory of Jack Pearse. The Jack Pearse Memorial Campership Fund is encouraging you to help us continue both Jack's spirit and vision by helping us bring children to camping and camping to children. There are two ways to help. Option 2: by making a donation to AMICI. AMICI is a charitable organization which has been sending children to many camps in Ontario for over 40 years. Over the last 15 years, Camp Tawingo has welcomed over 20 campers from AMICI! AMICI will issue a charitable receipt for your donation. If you wish to have us send your donation on to AMICI, please let us know. We are pleased to receive donations in any way you find convenient. One time, repeat and ongoing donations are welcome. If donating by cheque, please make the cheque payable to the "Camp Tawingo - Campership Fund", and mail it directly to Camp Tawingo. To set up a donation, please click here to downloard the donation form.